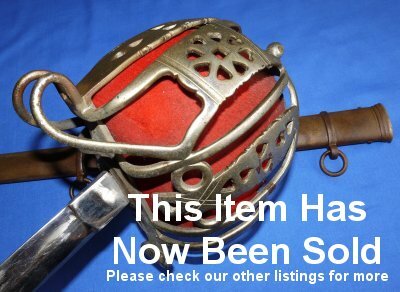 In fair / sound condition, a rare Victorian Royal Aberdeen Highlanders Scottish Basket Hilted Broadsword. The blade of this sword has been foolishly replated to make it bright. Foolish as the hilt, grip and scabbard are aged, so it looks out of place. Foolish also because it hides the etching for the most part, but just visible is enough to determine the blade is etched to the Royal Aberdeen Highlanders, who became part of the Gordon Highlanders. 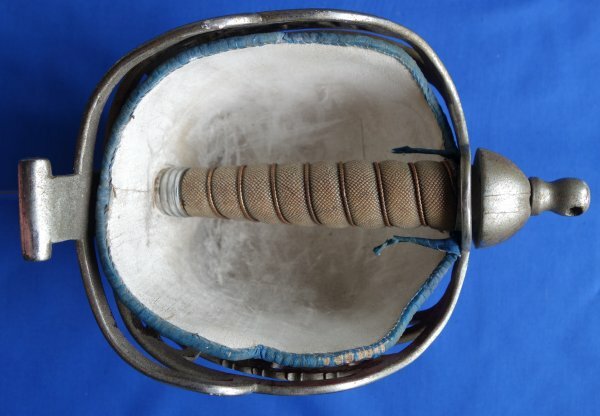 On the plus side, it is a rare sword and the plating could potentially be removed (there are both chemical and reverse electroplating processes), perhaps for the whole sword to be refurbished. The 32 inch blade is firm in the hilt. 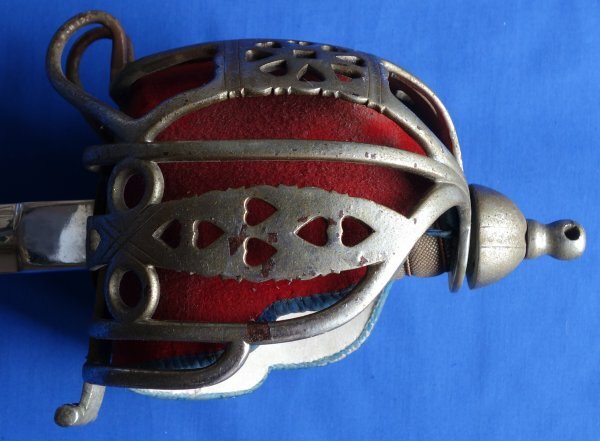 The electroplated basket hilt has yellowed with age and there are small rust blisters. The fishskin grip is an unusual natural cream colour (rather than black) and in good condition, as are the twisted grip wire bindings. 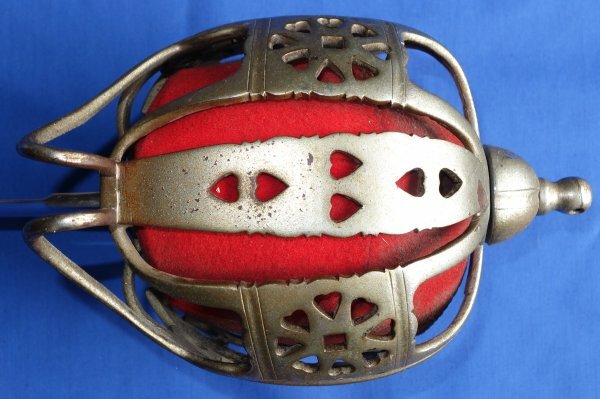 The basket hilt also benefits from its original scarlet red with royal blue edgings liner. 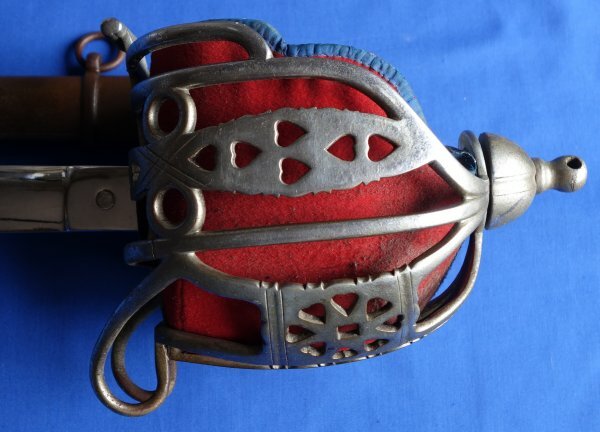 The steel scabbard is aged and with a kink, but the sword sheathes and draws well enough; the top of the scabbard is at a slight angle to the hilt when full sheathed, so there is a very small gap. A rare sword and just £? (too late, now sold). Please quote item reference number AA47 (0043). Full sized / additional photos available upon request.